It's that time of year again when I have a book to giveaway! Today I have an e-book to giveaway by: Oliver Sparrow. Human sacrifice, communities eaten from within, a vast mind blazing under the mud of Lake Titicaca; the rise and fall of empires cruel and kind. In the Andes of a thousand years ago, the Huari empire is sick. Its communities are being eaten from within by a plague, a contagion that is not of the body but of something far deeper, a plague that has taken their collective spirit. Rooting out this parasite is a task that is laid upon Q'ilyasisa, a young woman from an obscure little village on the forgotten borders of the Huari empire. This impossible mission is imposed on her by a vast mind, a sentience that has ambitions to shape all human life. Her response to this entails confrontations on sacrificial pyramids, long journeys through the Amazonian jungle and the establishment of not just one but two new empires. Her legacy shapes future Andean civilisation until the arrival of the Spanish. "Dark Sun, Bright Moon" explores the unique Andean metaphysic: not one of gods and heavens, but a cosmology developed over millennia of isolation, developed over generations by its practitioners but at constant war with the various state religions. It has been systematised from current beliefs, but is essentially authentic to them. As described in the book, therefore, this cosmology is a concrete thing, neither magic nor religion but a technology with a logic of its own that drives the story line. However, this is above all an adventure story in which credible people undertake rational if desperate acts in the face of extreme threat. Oliver Sparrow was born in the Bahamas, raised in Africa and educated at Oxford to post-doctorate level, as a biologist with a strong line in computer science. He spent the majority of his working life with Shell, the oil company, which took him into the Peruvian jungle for the first time. He was a director at the Royal Institute for International Affairs, Chatham House for five years. He has started numerous companies, one of them in Peru, which mines for gold. This organisation funded a program of photographing the more accessible parts of Peru, and the results can be seen at http://www.all-peru.info. 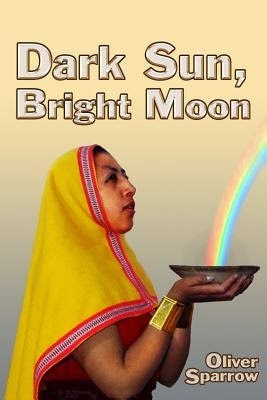 Oliver is the author of Dark Sun, Bright Moon. He knows modern Peru very well, and has visited all of the physical sites that are described in the book.